Edit: I've since returned to BFC and many of the issues I had previously have been addressed. Click here to read about it. Boise Fry Company is one of those places that I've been hearing about forever but never went to because it's downtown, and I hate downtown. I despise paid parking, loathe one way streets, and am flat-out sickened by people driving in circles at ten miles an hour to show off their cars, sound systems and tans. Still, I make it downtown every once in a while because, let's face it, that's where the hockey games are. And I guess the Co-op since we won't be seeing a Whole Foods around here anytime soon (sigh). Occasionally I even manage to catch a meal downtown, though it had been quite some time before my beloved suggested we swing by for fries with "burgers on the side" after a sweltering and smelly trip to the Boise Zoo. 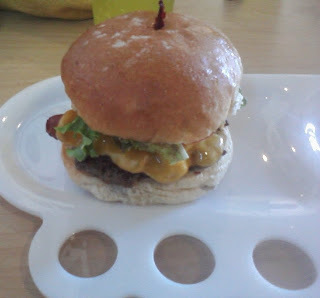 As a cheeseburger and fry devotee, I was more than happy to go along. M'lady got the Daily Special #1 for $8.79, comprised of a cheeseburger with a small order of russet fries and a pint of soda. The kids split a big order of fries between them. As for me, I got the bacon cheeseburger, but my real reason for wanting to visit this establishment was something they call "The Bourgeois". The Boise Fry Company is really famous for the fact that they have seven different kinds of potatoes and the like (russet, gold, white, sweet, yam, purple and Okinawa) that they can prepare in five different cuts (regular, homestyle, curly, shoestring and "po' balls"). Now they don't have all of these possible combinations available every day, but there's enough variety to keep you satisfied if that's what you're craving. To add to this, there are about half a dozen varieties of salt (smoked, rosemary, etc.) 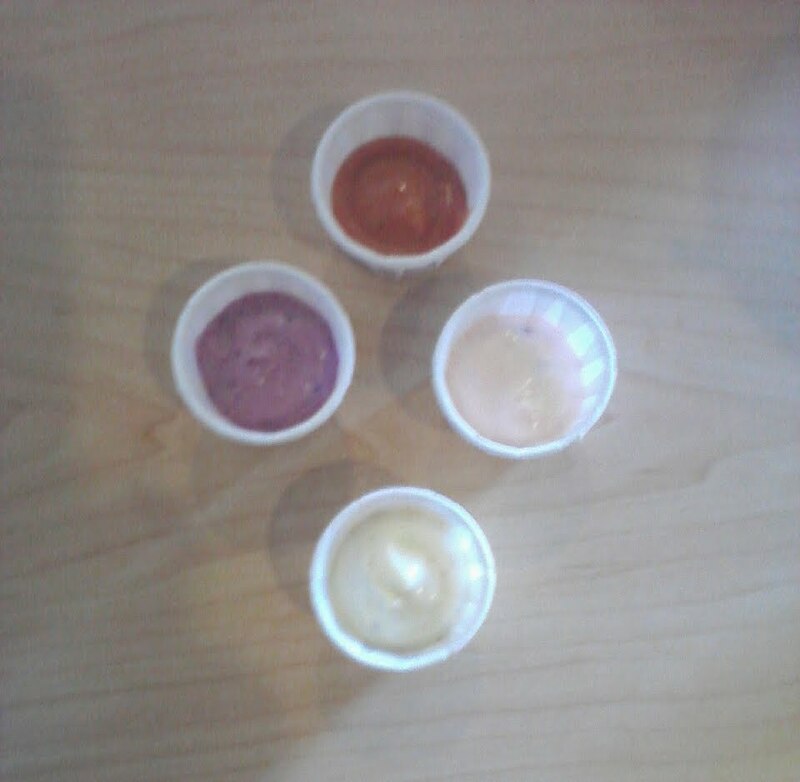 and at least as many dipping sauces (fry sauce, spicy fry sauce, sour Thai, garlic aioli, blueberry ketchup, sweet mustard, and so on). The portions are generous and the prices while not outstanding are reasonable for an independent restaurant specializing in what most people think of as a side dish, from $2.39 to $4.79 depending on size and type for the fries and $5.29 for a standard burger all the way up to $8.49 for a bison burger with bacon and cheese. Beer is available (and wine if I'm not mistaken), the standard array of Pepsi products are in the soda fountain, and they have milkshakes so long as you only want 16 oz of chocolate or vanilla. There's even a vegan burger on the menu. But back to The Bourgeois... 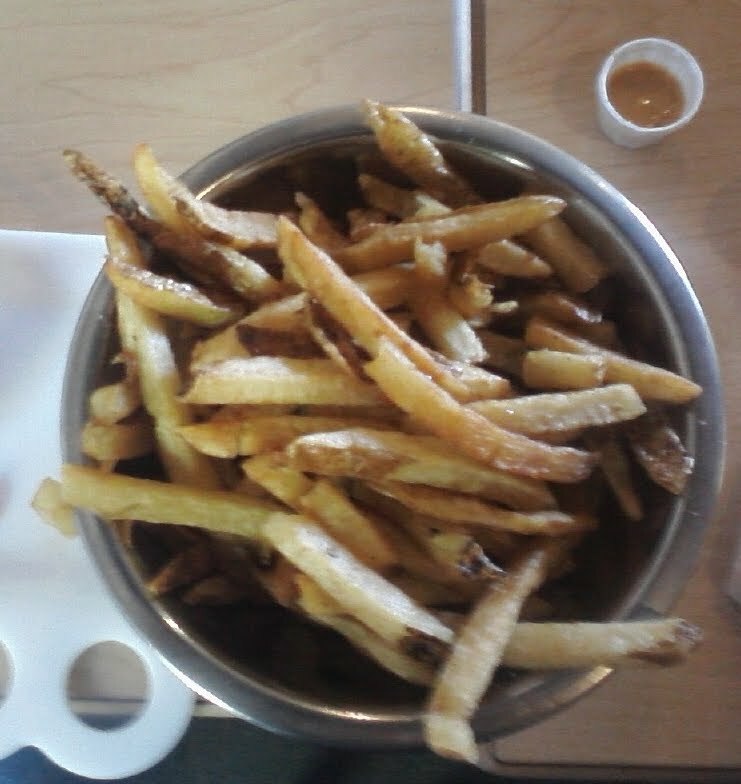 The Bourgeois is the Cadillac of the fry options. Described in their menu as "chef specialty" and "truly amazing", The Bourgeois is Boise Fry Company's "finest cut fries, flash fried in duck fat and garnished with black truffle salt". 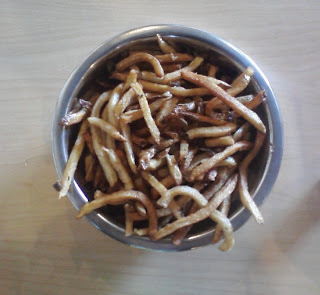 And how can you not try an order of fries that retails for $8.00?! Apparently this menu selection takes longer to prepare (perhaps they had to catch a duck? ), so while everyone else at the table was eating their fries, I had only my burger to keep me company. You are a DORK. Stay away from downtown if you hate it. Go back and eat at the Target or Walmart snack bar. Seriously, stay in your trailer.